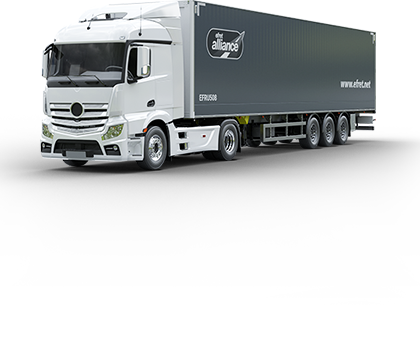 In keeping with Efret philosophy to only purchase from long term suppliers’ best-in-class equipment and services, we selected Krone of Germany for our fleet of mega curtainsiders and mega box trailers as shown in this page. Efret's automotive and high security mega trailers are designed to be legal everywhere in the EU; including where height limitations are vigorously enforced. Double wall accommodates various fixings for differing cargo types.